Welcome to what’s our first attempt at actually publishing a newsletter. In this newsletter, we’re going to highlight some of the more semi-permanent resources you’ll want to check out as supplements to the weekly podcast. Think of this entire newsletter as one large marketing course in college, minus the tuition, exams, and Friday night parties. eBooks are one of our favorite things to share. Why? They don’t cost money, they don’t burn down entire rainforests, they can be shared legally, and they don’t stack up on your desk or nightstand for perpetual ignore-age. Here’s a list of some of ours and others that are worth a few minutes. If you’ve got a Kindle, you can even upload these via the Calibre free software. The Twitter Power Guide. Tired of the endless re-runs of “What is Twitter”, I thought I’d kick it up a notch by creating an eBook of advanced things you can do with Twitter once you’re past the Twitter 101 stage. Synchronizing Social Networks. Want to do even more with your social networking experiments? Want to preserve the progress you’ve already made and help keep your social media efforts future-proofed? This is the eBook for you. 8 Step Podcast Marketing Guide. Want to get your podcast off the ground? Here’s 8 things to think about and consider as you turn on the microphone. The New Rules of Viral Marketing. How word-of-mouse spreads your ideas for free. The New Rules of PR. How to create a press release strategy for reaching buyers directly. Tribes Q&A. From Seth’s tribe. Flipping the funnel. One book in three flavors. Money for nothing, traffic ebook. Secrets of traffic of the web. If that isn’t enough reading for the beach… you’re spending too much time on the beach. Too much free time? Watch movies at work! What if you could have a marketing all-star conference? What if you didn’t have to pay to attend? You don’t. 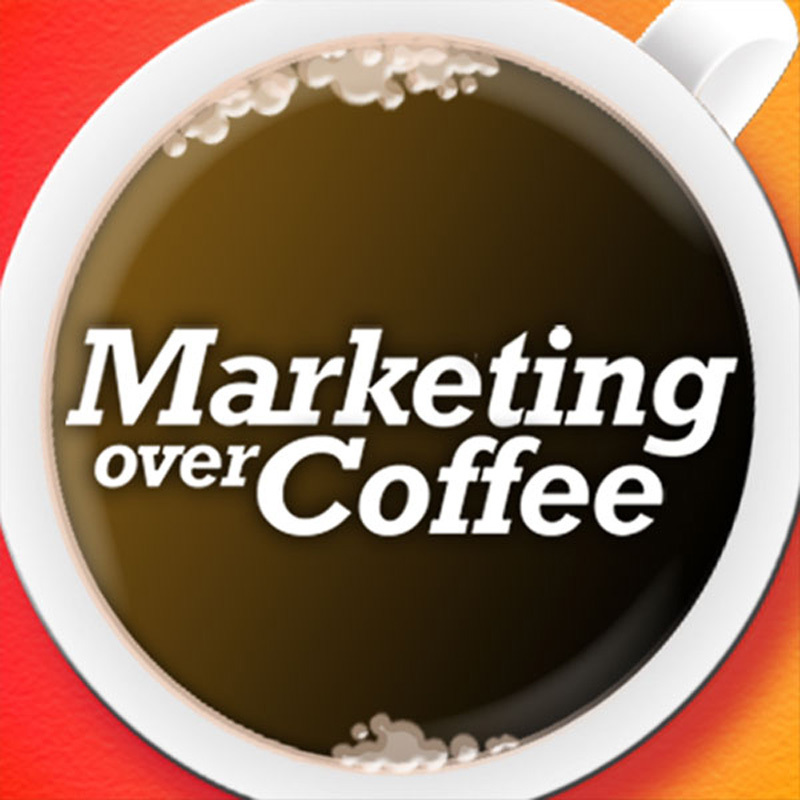 Attend the Marketing Over Coffee Marketing Conference in a Box, direct from your desk, spend nothing, and get distilled marketing power in your head. You’ll find MoC co-host Christopher Penn in some of them, too. Attend the Marketing Conference In A Box! Want more Marketing Over Coffee? Our PodCamp Boston 4 guest episode with CC Chapman and Chris Brogan will be out soon. If you’d like to see Marketing Over Coffee at a marketing event near you, make sure you tell event organizers to set aside a session for us to bring you the goods. If you are an event organizer, contact us at MarketingOverCoffee@gmail.com to arrange all the usual logistics stuff.